All trademarks, service marks and trade names of ASSERTIVE CREATIVITY, LLC�(www.assertivecreativity.com)�used in the website are trademarks or registered trademarks of ASSERTIVE CREATIVITY, LLC�(www.assertivecreativity.com)�(Herein known as www.assertivecreativity.com) They may not be used without ASSERTIVE CREATIVITY, LLC�(www.assertivecreativity.com)�prior written permission. 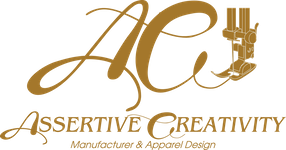 Any other intellectual property in the website, are the sole property of ASSERTIVE CREATIVITY, LLC�(www.assertivecreativity.com). All content included on this site, such as text, graphics, logos, button icons, images, and source code, is the property of ASSERTIVE CREATIVITY, LLC�(www.assertivecreativity.com)�and protected by United States and international copyright laws. This site or any portion of this site may not be reproduced, duplicated, copied, sold, resold, visited, or otherwise exploited for any commercial purpose without express written consent of ASSERTIVE CREATIVITY, LLC�(www.assertivecreativity.com). You may not frame or utilize framing techniques to enclose any trademark, logo, or other proprietary information (including images, text, page layout, or form) of ASSERTIVE CREATIVITY, LLC�(www.assertivecreativity.com)�without express written consent. You may not use any meta tags or any other "hidden text" utilizing ASSERTIVE CREATIVITY, LLC(www.assertivecreativity.com)�name or trademarks without the express written consent of ASSERTIVE CREATIVITY, LLC�(www.assertivecreativity.com). You agree to indemnify, defend, and hold harmless ASSERTIVE CREATIVITY, LLC�(www.assertivecreativity.com), its affiliates, officers, directors, employees, agents, and suppliers from and against all claims, demands, expenses, damages, and costs, including reasonable attorney's fees, resulting from violation of these Terms & Conditions. ASSERTIVE CREATIVITY, LLC�(www.assertivecreativity.com)�may link to third-party sites. ASSERTIVE CREATIVITY, LLC�(www.assertivecreativity.com)�has no control over the contents of linked sites. These sites are for your convenience only and must be accessed at your own risk. THIS SITE IS PROVIDED BY� ASSERTIVE CREATIVITY, LLC�(www.assertivecreativity.com)�ON AN "AS IS" AND "AS AVAILABLE" BASIS.�ASSERTIVE CREATIVITY, LLC�(www.assertivecreativity.com)�MAKES NO REPRESENTATIONS OR WARRANTIES OF ANY KIND, EXPRESS OR IMPLIED, AS TO THE OPERATION OF THIS SITE OR THE INFORMATION, CONTENT, MATERIALS, OR PRODUCTS INCLUDED ON THIS SITE. YOU EXPRESSLY AGREE THAT YOUR USE OF THIS SITE IS AT YOUR SOLE RISK. TO THE FULL EXTENT PERMISSIBLE BY APPLICABLE LAW, THANKU DISCLAIMS ALL WARRANTIES, EXPRESS OR IMPLIED, INCLUDING, BUT NOT LIMITED TO, IMPLIED WARRANTIES OF MERCHANTABILITY AND FITNESS FOR A PARTICULAR PURPOSE. THANKU DOES NOT REPRESENT OR WARRANT THAT THE FUNCTIONS CONTAINED IN THE WEBSITE WILL BE UNINTERRUPTED OR ERROR-FREE, THAT ANY DEFECTS WILL BE CORRECTED, OR THAT THIS WEBSITE OR THE SERVER THAT MAKES THE WEBSITE AVAILABLE ARE FREE OF VIRUSES OR OTHER HARMFUL COMPONENTS.� ASSERTIVE CREATIVITY, LLC�(www.assertivecreativity.com)�WILL NOT BE LIABLE FOR ANY DAMAGES OF ANY KIND ARISING FROM THE USE OF THIS SITE, INCLUDING, BUT NOT LIMITED TO DIRECT, INDIRECT, INCIDENTAL, PUNITIVE, AND CONSEQUENTIAL DAMAGES. Automatic Information: Like many other websites we receive and store certain types of information whenever you interact with us. For more information see "cookies" section below. "Cookie" is a text file that is stored on the database of your computer. Cookies are used to send and receive information, which are stored on your computer's hard drive. We use the information collected by cookies to improve the quality of our website, tailor our products and services to suit your personal interests, track and/or analyze visiting patterns and resolve difficulties you may encounter while on our site. We use state of the art SSL (Secure Sockets Layer) encryption on all sections of our site that asks for your personal information. This ensures protection during purchases and registration.